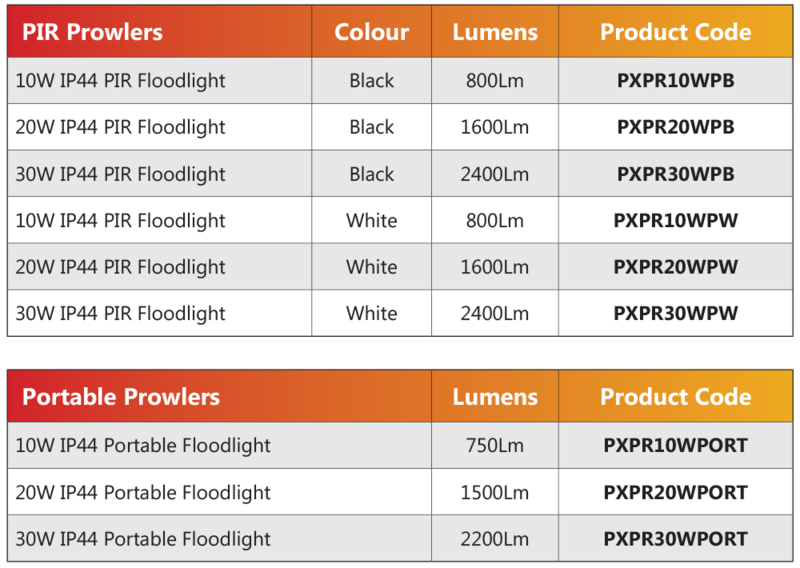 The Prelux Prowler LED Floodlight range provides up to 70% energy saving compared to traditional non-LED Floods. The standard Prowler range is IP65 rated for all-weather outdoor applications making it ideal for general exterior/security lighting, garden lighting and commercial/industrial lighting applications. 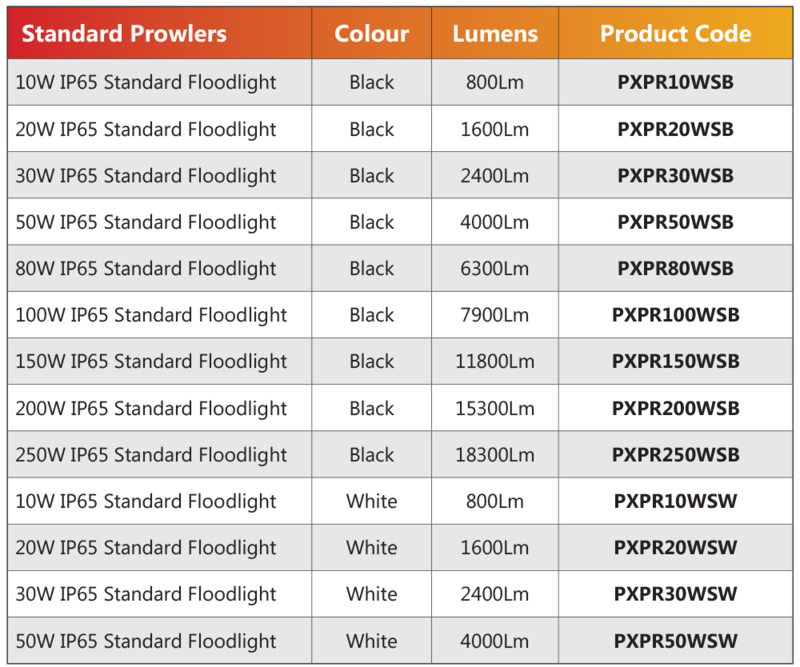 PIR versions are IP44 rated. The adjustable bracket enables the beam to be oriented and fixed at the required angle.